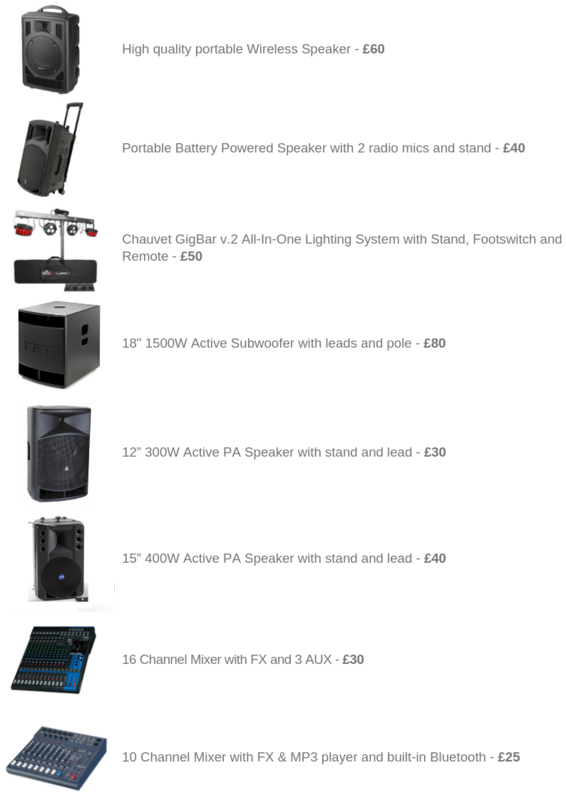 Here at Intasound we can cater for all of your hire needs. Whether you are looking to hire a small portable speaker for wedding speeches or a large scale PA system for a festival, Intasound can provide a high-quality system for the event at very competitive prices. We have a large range of items for hire, including speakers from £30 and mixing desks from £20 (24hr hire charge). We also have microphones and lights for hire. Below are just a few of the products we have available and there pricing. For more detail or to build a quote for your specific needs, please get in touch with us on 0116 4422564 or email us at intasoundmusic@gmail.com.